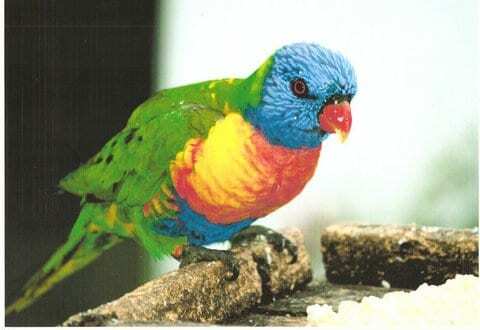 Home » Australia » Blog » Celebrities » Comments » Countries » Creatures » Popular Articles » SHELLY BEACH SNIPPETS NO. 49 September, 2015. SHELLY BEACH SNIPPETS NO. 49 September, 2015. When spring arrives in Oz so do the Magpies, these birds like nothing better than to swoop down and attack pedestrians. Fortunately it only lasts a few weeks while their chicks are in the nest. If you happen to be a regular passer-by through their territory, they recognise you and down they come. A survey has been carried out and the best thing to do is to wear an ugly rubber mask of witches or goblins etc. the birds will not go anywhere near them. This surely begs the question of how do they know the difference? Rather handsome looking birds with black and white plumage chestnut brown eyes, and obviously have a brain. I wonder what the witches and goblins have done to them. The saga of Johnny Depp’s dogs Pistol and Boo continues with a court case on Queensland’s Gold Coast adjourned until November 2nd. The Yorkshire Terriers were brought into Australia illegally when Depp was filming ‘Pirates of the Carribean’ movie earlier this year. Australia has very strict quarantine regulations to prevent diseases such as rabies from spreading to its shores. Pets coming into the country require a permit and are quarantined for at least ten days. It will be interesting to see how the doggie drama is settled, and who knows maybe a movie will come out of it. Norah Head Lighthouse on the Central Coast of NSW. by Reginald J. Dunkley. Australian skies are full of unidentified flying objects, more that 2,000 pictures and videos were unveiled in a new documentary. The Producers of the film “Australian Skies” tried to shed light on the strange sightings and why they are on the increase. The images included lights and bright objects and unexplain- able shapes appearing in the sky. Russian billionaire Yuri Milner will spend at least one hundred million dollars to see if there really is anything ‘out there’ Australia will contribute to the effort using CSIRO’s Parkes Radio Telescope. The papers are full of people’s UFO’s sightings and stories of aliens, so maybe Yuri Milner will be able to solve the mystery. Pilots have been reporting sightings of mysterious flying objects for years, but these cases have been kept hush-hush. It’s only now they are coming to light and it’s all thanks to two curious scientists Dean and Basterfield, who delved into an incident near Perth involving a flying object and in the process discovered evidence of similar encounters in Australia that had been kept secret. During the winter of 1909 Australia was abuzz with reports of mysterious lights flying through the skies. Some thought them planets; others thought them lanterns attached to kites, or even Japanese Airships. In the Southern Highlands of New South Wales the lights were visible for a week. It has been playfully suggested that the Martians are endeavouring to send signals to earth. Perhaps they will be able to throw some light on the disappearance of Malaysian Airlines MH 370. Roger the kangaroo lives in the Kangaroo Sanctuary, Alice Springs, in the Northern Territories. He is two metres tall and weighs 89 kilograms. The alpha male red kangaroo crushes metal feeding buckets for fun, and has his own stuffed toy bunny. He was orphaned after his mother was found dead on the side of a road in 2006. However, Roger is not as big as Dave who is an Eastern Grey kangaroo and famous for roaming Brisbane streets, and is also two metres tall but weighs 6 kilograms more and reigns supreme because of his sheer size. Dave’s favourite haunt is the local golf course and parks, and checking out the shoppers. Don’t mess with these fellows as they know all about kick boxing. For all those sports fans Aussie Jarryd Hayne is playing for the San Francisco 49ers National Football League. Formerly a Rugby League player for Parramatta Eels in the N.R.L. Hayne was born in 1988 a son of a Fijian father also a professional rugby league player and an Australian mother. He was the recipient of the Daily M Medal and International Player of the year award in 2009. His 2009 season is described as one of the greatest individual season in Australian Rugby League History. Hayne is a natural flier and we will watch him with interest and wish him great success. The Birdsville Races are held every September; this event is a non-stop party in one of the most isolated outback towns. The main race $28,000 Gold Birdsville Cup, is internationally acknowledged to be the ‘Melbourne Cup’ of the outback. The tiny town of 100 swells to 6,000 excited race fans, not to mention the hundreds of cars, caravans and light aircraft that swells the township. It is a truly unique Australian event full of joie de vivre. The first race was held in September 1882, with 150 visitors’ station owners and stockman. Apart from a few years during World War 11, the races have only been cancelled twice. Once due to equine influenza, the other due to rain that set the course under water. The Birdsville Track is an icon amongst Australian outback tracks and was established in 1860. It was the main stock route to bring cattle from central Queensland to the railway in Marree. The route crosses dry and desolate country so travellers need to carry sufficient water and supplies. It has a fascinating history of success and failures, but great appeal to adventurers. In 1926 an English nurse fell in love with the country and decided to live by Cannuwaukaninna Bore, running a little store on her own. Birdsville is the most south-western part of Queensland and a beautiful part of outback Australia. It has a modern community, sporting complex, gymnasium, two galleries, a bakery, air services, motel, hotel, caravan park and cabins, coffee shops and restaurants, general store, post office, medical clinic and police station, plus the famous pub Birdsville Hotel which stands at the edge of the Simpson Desert, in the heart of the Australian outback, with an airstrip next to the pub. 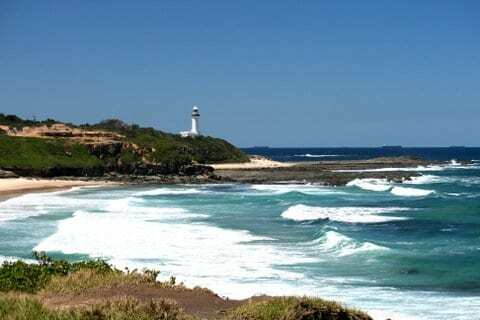 Here at Shelly Beach we had our own drama when a 3m shark knocked a surfer off his board and “thrashed around” in a dawn attack at North Shelly Beach. He received lacerations to his left hand in the attack and had to be rushed to hospital. A large seal has been out in the surf lately so there is obviously a lot of bait fish around, and the seal was there at the same place as the shark. The surfer was unlucky to be there at the same time. It is very unusual to have shark attacks at Shelly Beach, although of course sharks are in the water but we do have nets. The beach was closed for the day but everything is back to normal now. 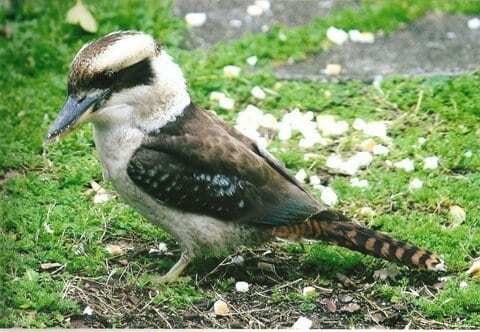 Fortunately the birds are just the same and a delight to feed comes rain or shine, Lorikeets, Yellow Wattle Bird, Crested Pigeons, Butcher Bird, Blue Wren, Currawong and Kookaburra, none of which bite the hand that feeds them. Pixie is happy and I have had a week of the ‘flu virus coming good now. My books “Letters of a Travelling Lady, Wallis the Woman I Love, and The Complete Guide to Painting and Decorating Porcelain” are available on my website www.patriciasartworld or Amazon. Enjoy. He He was orphaned after his mother was found dead on the side of a road in 2006. However, Roger is not as big as Dave who is an Eastern Grey kangaroo and famous for roaming Brisbane streets, and is also two metres tall but weighs 6 kilograms more and reigns supreme because of his sheer size. Dave’s favourite haunt is the local golf course and parks, and checking out the shoppers. Don’t mess with these fellows as they know all about kick boxing.